You are here: Home / Journey / Negativity, who needs it? 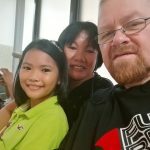 Last week, we had some of my wife’s family visiting our home in Davao City, Philippines. 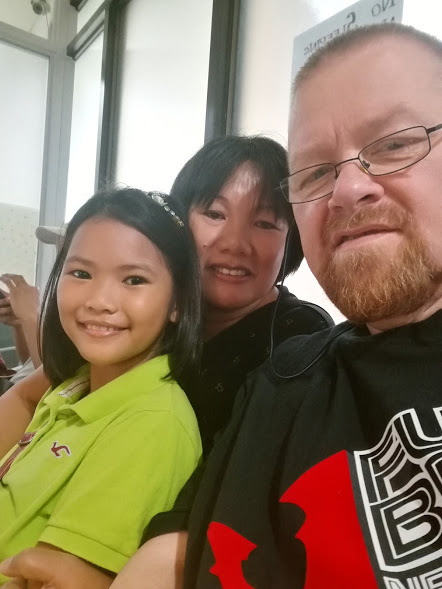 Feyma‘s family lives in General Santos City, which is about 3 to 4 hours south of Davao. We see the family fairly frequently. I particularly enjoy seeing the kids when they come. I am a real lover of children, they make my day, and enjoy spoiling them a bit. In January, Feyma‘s family had a family reunion, and we went down for that. I spent most of the time hanging out with the kids, talking to them and such. 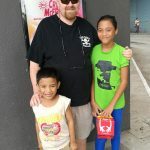 Being an American, it is not often that these kids get to see and interact with people like me. I consider it important to spend time with them, and to drive home the point that they do not have to fear foreigners like myself. 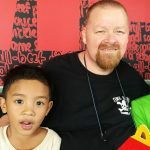 It is common here in the Philippines that young children fear foreigners, or are so shy that they will not talk with foreigners. I don’t like that, so I make a special effort to show the kids that there is no reason to fear me. When the family members came last week, they had several children with them. Both Feyma and I enjoyed doing things with the kids. For one thing, we took two of the kids to McDonald’s to lunch twice. We took the other places too. Did things with them. I took one of the kids to the local Mall. They have a “kiddie train” there where you can ride around the mall in a train, and I took him on the train. His face showed just how much fun he had! I enjoyed seeing him so happy. 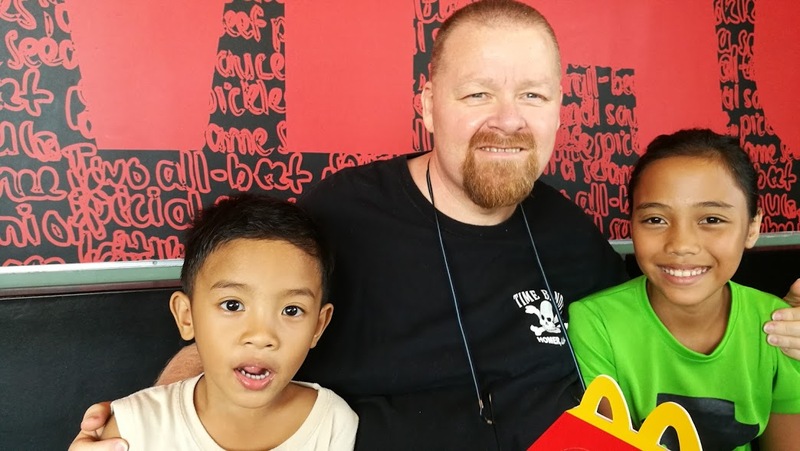 I posted some pictures and information on Facebook showing that I took some of my “grandkids” out to McDonald’s and such. In the Philippines, children of your nieces or nephews are considered your grandchildren. Well, it had been a while since I posted a picture of myself on FB, and I got a ton of comments saying that I was looking good and that I had lost a lot of weight. It is a fact that I had lost about 35 pounds since the last time I posted a picture. Then I got a couple of very negative comments. One person said that I was a fake. Said that I was harming my grandchildren by taking them to McDonald’s. 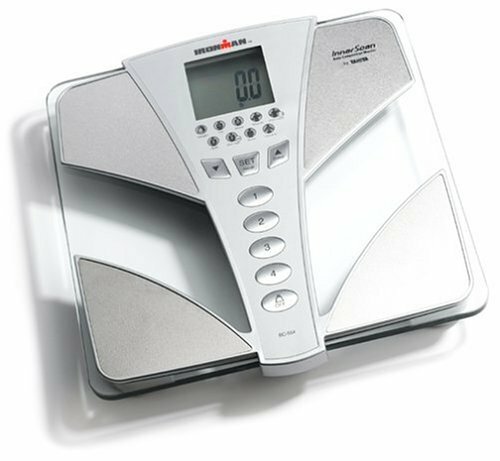 Saying that it was not true that I had even lost any weight. I was called a hypocrite. I do not eat at McDonald’s. I never do. I was fasting at the time that I took the children out to eat, so I did not even eat, I just let them enjoy it. Also, these are kids from poor families. They do not get to go out and eat very often, probably just a couple times per year, at most. I asked them where they wanted to eat, and they chose McDonald’s. I don’t consider McDonald’s to be a healthy meal, but I also think that one meal or two per year at McDonald’s is not going to damage their health. I had a heart attack last year. I have made great efforts to reduce the amount of stress in my life. I don’t need stress, and I want to eliminate it. So, instead of getting into an argument over the whole thing, I just unfriended these few people. Who needs it? You know what… it actually felt good to eliminate that stress! I have done the same thing. On my own page and on groups I belong to. It’s true, it’s not worth it and I too enjoy the less stress and those people that go out of their way to ruin everyone else’s life. Good for you Bob. A discussion of different idea’s is good because not everybody see things the same way, but there is no need to put up with people who are insulting and deliberately rude to others for no reason. Thanks Richard. Yeah, I don’t mind an exchange of ideas, even when the ideas are opposing. But, just outright insulting people with no reason at all.. there is just no need for that stress! What?! I guess miserable people like to make others miserable, but you don’t have to cooperate! It really has nothing to do with you, it is their problem. Pretty sad, actually. I agree, who needs such negative people! Life is much happier if you just let go of them. I think they actually get happiness from being hurtful to others! Exactly, life is too short. That is for sure, Resh, and dealing with the negative people will only make life even shorter! There will always be bashers..And all of us have somehow experienced bashing. Do what you have to do, ignore these jerks. They just want to say something..Just anything for the sake of just saying something. Yep, haters are everywhere you have to make an effort to avoid them! I don’t get involved in any expat groups, so I have no information about this. I always figured being that negative required too much effort. More often now I will unfollow. Life is just too short! Good for u, as they say Life is to Short. Way to go Bob…people like that are to be avoided, let them stew in their own unhappiness. For sure, Malcolm! Who needs it? I totally agree. I don’t blame you one tiny bit!! That’s one of the things I do NOT miss about living in the states. And as far as fb, my blocked list is very long! If I didn’t want to hear, see, or be around their stupidity, negativity, or whatever else, why do they think I’d want to move 11,000 miles away and put up with it online?!! Hahaha!! I’m enjoying my life here, far too much, to even think about having to deal with that junk!! LOL. I bet your block list in my block list have some of the same people! I don’t know why Facebook always seems to bring out the worst in many people. Great that the kids enjoy, it’s their job and you seem to help them. An earlier post got me researching LCHF diets, I will be two weeks Sunday 250 when started 229 now. Hope to get to 210-215, you are an inspiration. Hi Gerald! Wow, you are doing great! Congratulations! good deal Bob you don’t need that in your life . 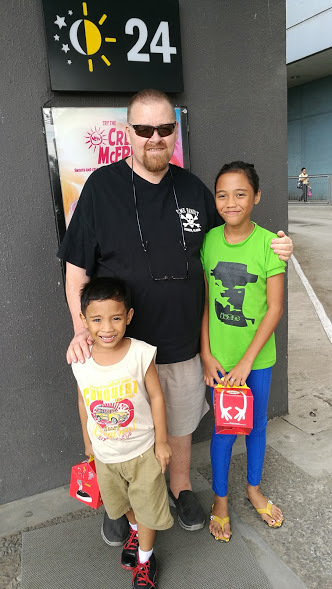 I do that too with my wife’s brothers and sisters some times the whole family the all “deserve a break today”.. just enjoy the time you spend with them and talking to kids is so much fun ..and even better when I have taught them to speck English ..
LOL. So far I have never done it to family. I have taught them to speak English and table manners too. Please and may I ..so important in my house ..